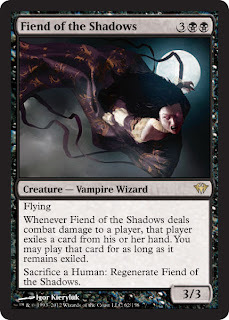 It is the last day of week one of the Dark Ascension previews and although we are just under 40 of the 158 cards spoiled and previewed, we are almost feeling spoiler overload (we did say 'almost'). Make sure you check in frequently to our constantly updated Dark Ascension Spoiler List as we head through the weekend and into week two of previews. 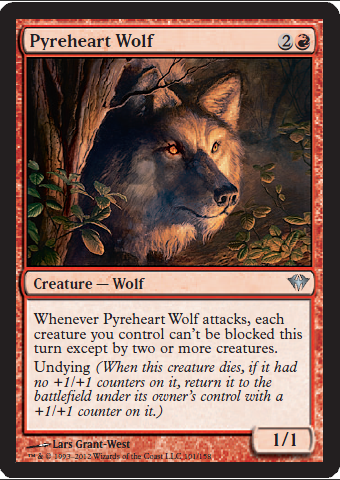 Let's get to today's previews now . . . This one comes from Robot Viking and it features another one of those human sacs. Given the double black on Fiend, we hope there are some human token generators in this colour. We are really loving this card. 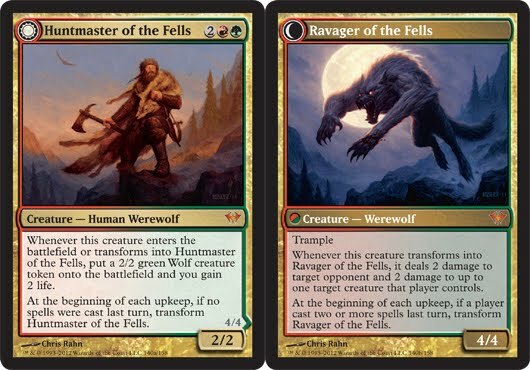 Four mana gives you a 2/2 body as well as another 2/2 body with the wolf token. Tell 'em what else Johnny - order now and we will throw in 2 life gain. Sweet. 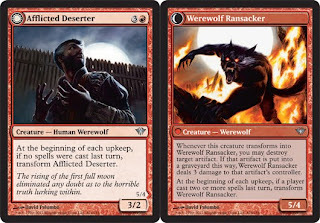 Things get a whole lot better with the transform as you gain a 4/4 trampler, another 2/2 wolf token (when Huntmaster transforms) and you get to shock for 2. We love 2's. 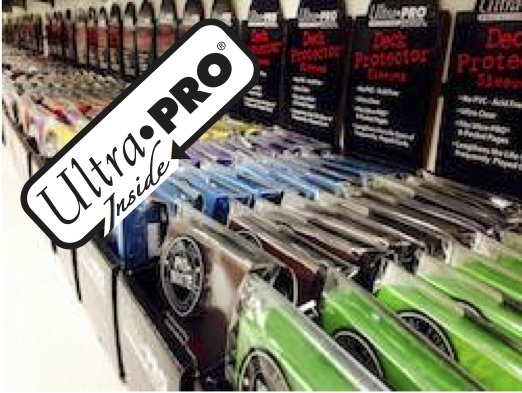 We are thinking that this might just shine in limited depending upon which friends it has on the field at the time. You do not get another 2/2 Wolf if he transforms into Ravager of the Fells.